I love the “doggie” signs. Where I live there is a $200.00 fine for first offense. After that it doubles. 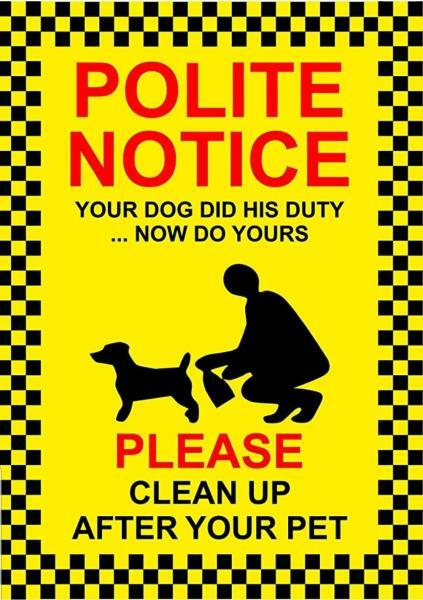 It is not pleasant to inadvertently step in doggie doo!